A rare example of a new secondary school in a National Park and Area of Outstanding Natural Beauty. The brief and design development involved extensive engagement with Powys County Council, Brecon Beacons National Park Planning Authority and members of the public. 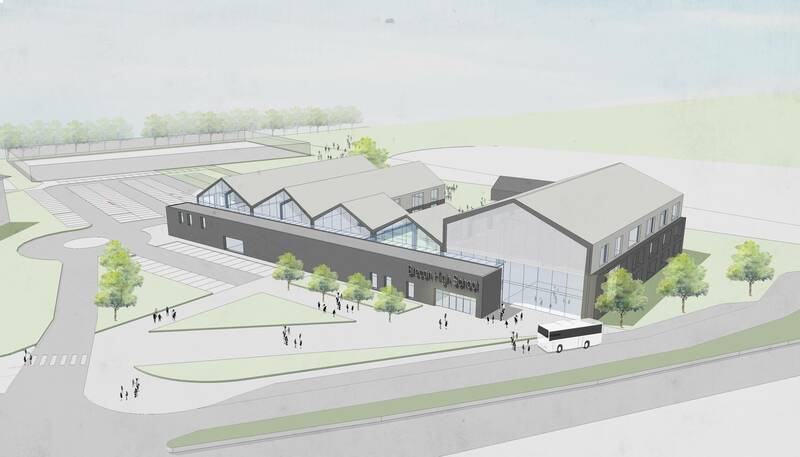 Our concept for this 750 place secondary school with sixth form draws upon the simple, bold forms of traditional stone and modern barns in the National Park. The spatial arrangement and orientation provides students, staff and visitors with a secure and engaging environment and spectacular views of the Brecon Beacons. Our design for this BREEAM ‘Excellent’ rated school provides a range of flexible teaching spaces to suit different learning styles and pedagogical approaches and was designed using ‘Passivehaus’ principles.